A shop game with RPG? Or is it RPG with a shop? Collect materials, Craft weapons, Train your staff and defeat your enemy! This is Weapon Shop Fantasy! 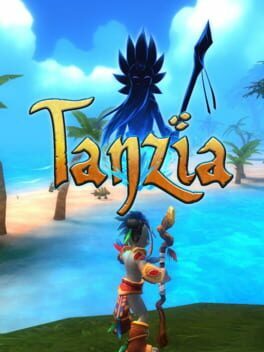 An Adventure RPG in comic book style with an island setting of treasure chests and waterfalls, Tanzia combines elements of favorite classic RPGs in an open 3D world of magic and monsters. You are the Harbinger, a skilled warrior who exists outside of time. You have foreseen the annihilation of the land known as Urralia and have been summoned to rewrite its fate. With the power to witness and alter the last moments of Urralia’s inhabitants, it’s up to you to weave a new narrative, pave the way to a brighter future, and give the world of Urralia a second chance. 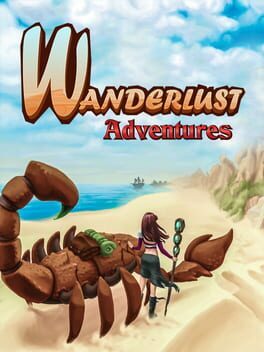 Wanderlust Adventures is an online, free-roaming, open world, action adventure RPG. Join fellow heroes online, explore vast and deadly landscapes, and capture companions to aid you in your quest. Forge powerful items, salvage artifacts, and crush the souls of menacing foes! 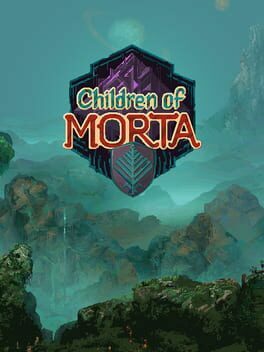 Children of Morta is a narrative driven hack and slash roguelike. Take on the role of a member of the Bergson family, the Guardians of Mount Morta, as you fight desperately against the Corruption. Experience not only what it means to be a hero, but to be part of a family that bears the weight of the mountain together. 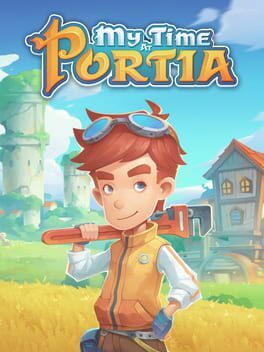 My Time at Portia is a simulation open world RPG game. The world is set in a post-apocalypse setting. Humans are few and relics from the past are everywhere. The player will need to start a new life in a town on the edge of civilization called Portia. The player will start a workshop and build things with relics from the past for the betterment of society. The goal of the game is to make the workshop as big as possible. We want to enrich the world with other NPCs that have their unique behaviors. Characters will go to school, do their jobs, workout, and have fun. They also have unique stories for the player to experience. The player will be able to get into relationships with other characters, be them friendships or romances. Romances can end in marriages. Players can gather materials from an open world. Cut down tree, pick up herbs, mine in ruins, even plant your own garden. There are vast areas for the player to explore around Portia. Deserts, islands, reefs, highlands, marshlands, and more! Each area bringing their own unique items and monsters. There are two different types of dungeons in this game. Players can gather relics and ores from the abandoned dungeons, and fight off monsters to gain look in the hazardous dungeons. We hope to give the player a truly memorable time in this game, of a warm and welcoming little town full of experiences. 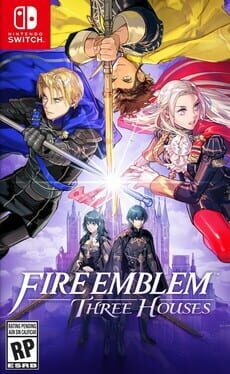 Fire Emblem: Three Houses is being developed for the Nintendo Switch that is planned for release in summer 2019. 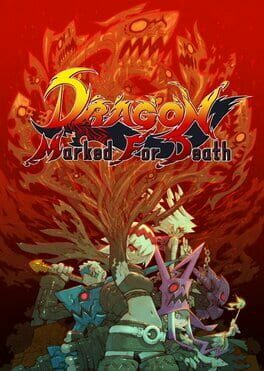 Dragon Marked For Death is a side-scrolling 2D action RPG that can played solo or with up to four players in local or online multiplayer. The playable characters in Dragon Marked for Death: Frontline Fighters are the Empress and Warrior. You play as the survivors of the Dragonblood Clan who set out to take revenge on the Kingdom of Medius, who destroyed their home and captured the Dragonblood Oracle, Amica. To obtain the power they need to enact their revenge, they forge a pact with the Astral Dragon Atruum. Use your newly acquired powers to take on quests from villagers and raise your status in the kingdom. How you perform in these quests can have a direct effect on the game's final outcome. Quests aren't all about defeating enemies, though. You'll guard a ship's passengers from monsters, search for hidden treasure, rescue a princess from a castle under siege, and a lot more! Choose from four playable characters (Empress, Warrior, Shinobi, or Witch) and defeat your enemies to gain experience and level up. You'll receive points as you level up that can increase your attack power, defense, agility, and other parameters. Customize your character in a way that best suits your individual playstyle! Team up with up to four players in co-op multiplayer action via local wireless, or go online with Nintendo Switch Online and use worldwide matchmaking system to play with adventurers all over the world. By strategizing and working together with your party, you'll be able to achieve even greater results and reap even better rewards! Get ready to experience the unique, dark fantasy world of the Dragonblood Clan in this intense 2D action-RPG! 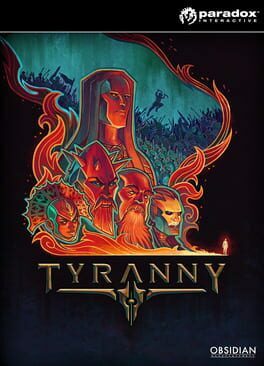 Obsidian Entertainment proudly presents the sequel to our crowdfunded and critically-acclaimed role-playing game, Pillars of Eternity. 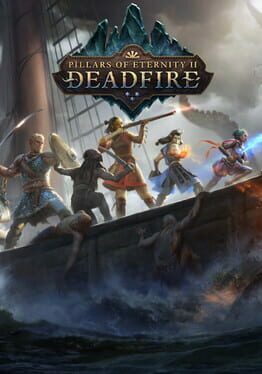 Welcome to Pillars of Eternity II: Deadfire. With Pillars II, we are revisiting the rich narrative, beautiful environments, and tactical combat that made Pillars of Eternity one of the highest-rated PC games of all time. 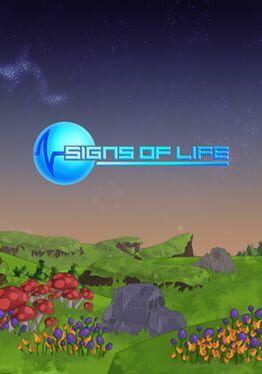 Signs of Life is a sci-fi survival sandbox platformer with a combination of procedurally generated and hand-crafted content. You'll explore mysterious locations, Mine blocks for resources, and meet strange (and some familiar) creatures, some of which don't even want to kill you and eat your corpse. Along the way, you'll be able to craft armor, weapons, gadgets and more to assist you in surviving in an inhospitable environment. It's one year after the collapse of civilization and self-centered hedge fund manager Joe Wheeler emerges from his specially constructed bunker in search of food. This is a huge open-world RPG where you have the freedom to play how you want - but your choices have consequences. 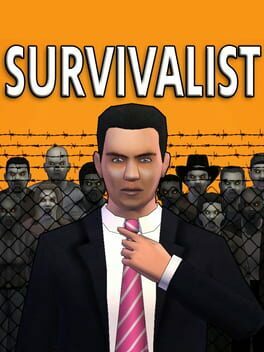 Your aim is to find other survivors, gain their respect, and build a community. You'll scavenge for supplies, trade, plant crops, go on quests, face moral dilemmas, go to war, and uncover dark, terrible secrets! 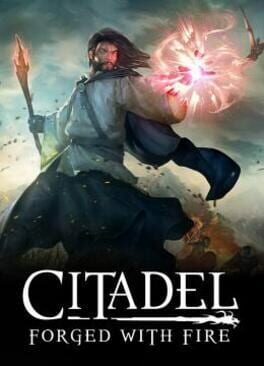 "Citadel: Forged With Fire is a massive online sandbox RPG with elements of magic, spellcasting and inter-kingdom conflict. 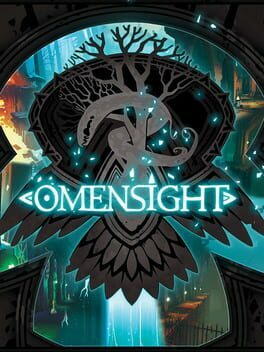 As a newly minted apprentice of the magic arts, you will set off to investigate the dangerous world of Ignus. Your goal: create a name for yourself and achieve notoriety and power among the land’s ruling Houses. You have complete freedom to pursue your own destiny; hatch plots of trickery and deceit to ascend the ranks among allies and enemies, become an infamous hunter of other players, build massive and unique castles, tame mighty beasts to do your bidding, and visit uncharted territories to unravel their rich and intriguing history. The path to ultimate power and influence is yours to choose." 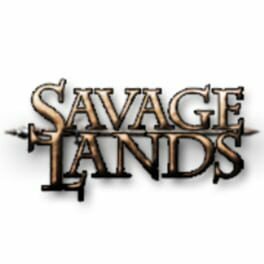 A New Land, A New Life: Savage Lands is a gritty, brutal, first-person open-world fantasy survival experience in which players have only one goal: Stay Alive. Explore a world where days and nights are spent slaughtering vicious creatures, gathering scarce resources, building shelter and crafting powerful weapons needed to survive. Every decision counts, because one mistake can lead to an unfortunate encounter with death's cold embrace. 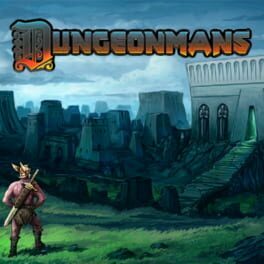 Crush monsters and get loots in the classic turn-based style of deep dungeons and high adventure! Serious gameplay surrounded by a light-hearted atmosphere, designed to evoke the feel of history's great RPGs and dice-slinging adventures around the tabletop. 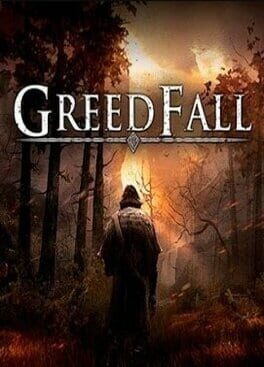 GreedFall is the latest RPG from Spiders, currently in development for PlayStation 4, Xbox One and PC. Revealed at "le What's Next de Focus" event last week, GreedFall today unveil a first teaser trailer, hinting at the 17th century setting of the game and its ambiance embedded in magic. Explore a fresh new world as you set foot - alongside many other settlers, mercenaries and treasure hunters - on a remote island seeping with magic, rumored to be filled with riches and lost secrets. A grand journey filled with mystery follows, as you find yourself in the middle of ever-increasing tensions between the invading settlers and the locals, protected by supernatural beings, manifestation of the island’s earthly magic. PLEASE PURCHASE TREE OF LIFE ONLY IF YOU WANT TO SUPPORT IT. 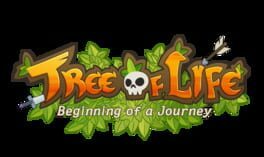 Tree of Life is under development now, which also means it’s not a perfect game. Therefore, there might be a serious bug in the system, or it might be changed dramatically. Tree of Life will be improved continuously. You are a Fatebinder, the judge and executioner of Kyros’ law, acting under the watchful eye of the Overlords Archon of Justice, Tunon the Adjudicator. Your words shape the lives of thousands. Will you use that power to bring justice and inspire loyalty? Or will you bring fear and cruelty to the beaten people of the Tiers? A dungeon crawl where YOU are the dungeon! Lead your minions in tactical turn-based combat against the pesky heroes, and unlock a variety of evil Powers. With a dynamic campaign system and a branching storyline, "Reverse Crawl" lets you experience an RPG from a whole new angle! The Earthlings have joined the interstellar club. The galaxy will never be the same. The year is 2086 and Earth has detected an alien distress call originating from the surface of Triton. 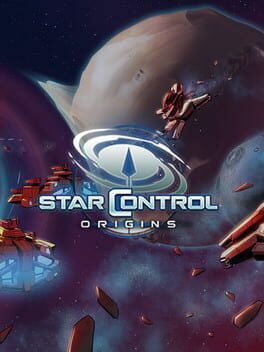 In response, Star Control is formed with you as The Captain of Earth's first prototype starship.